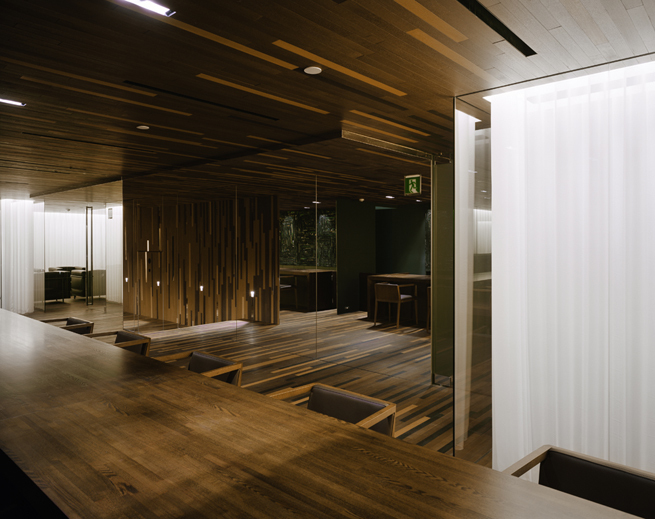 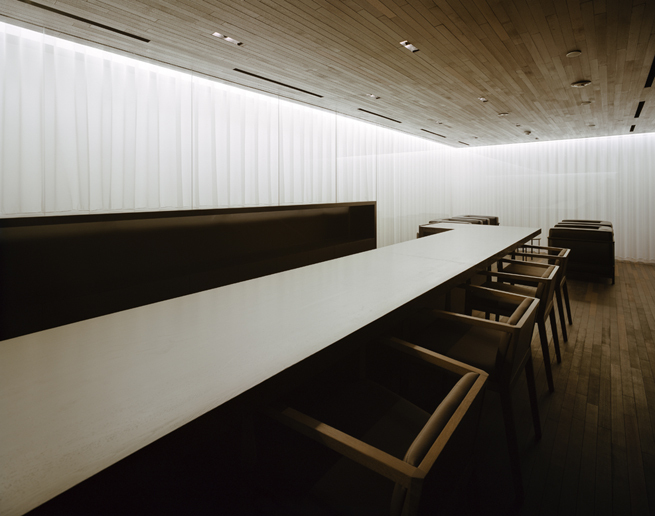 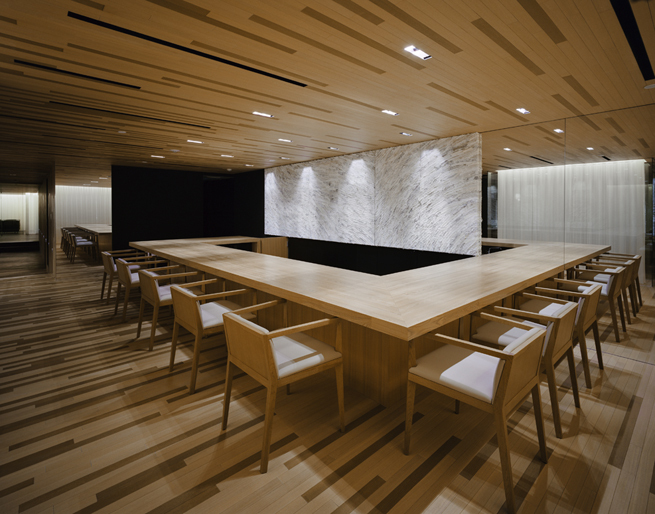 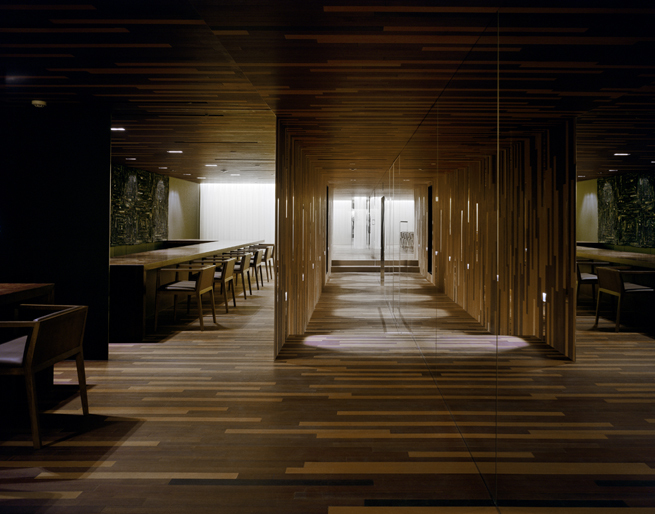 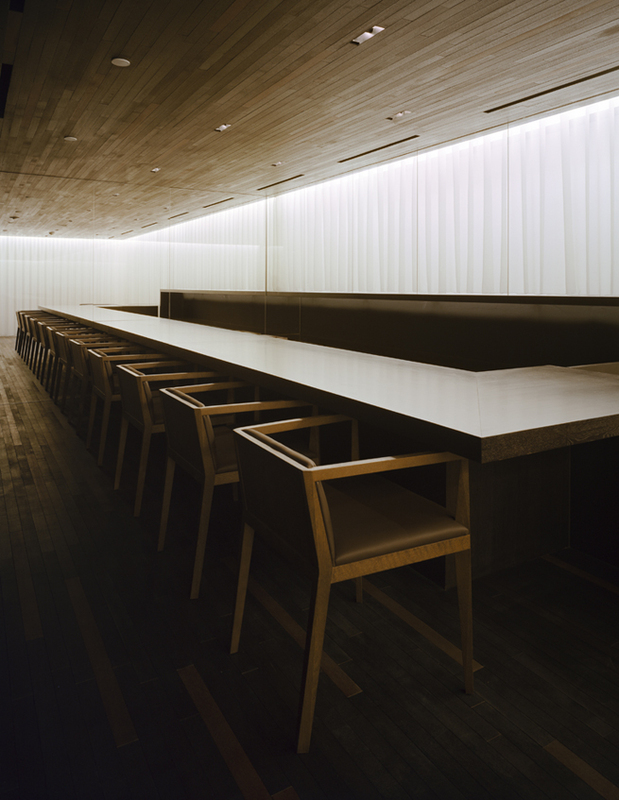 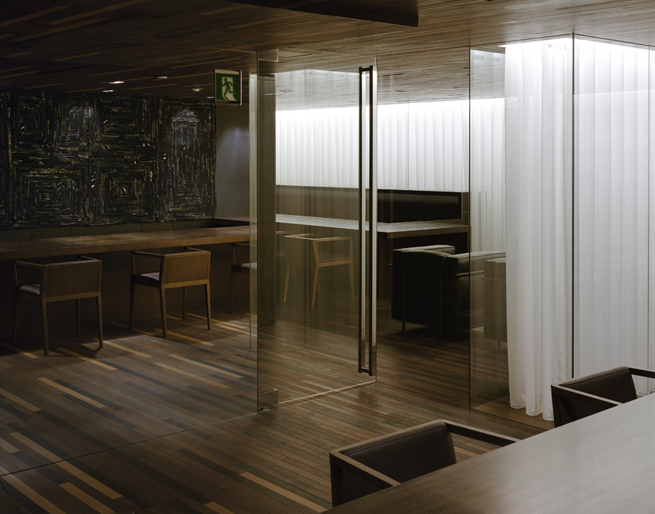 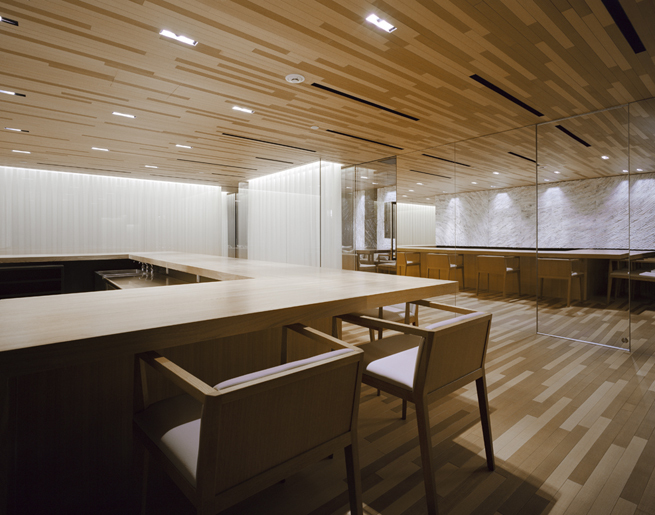 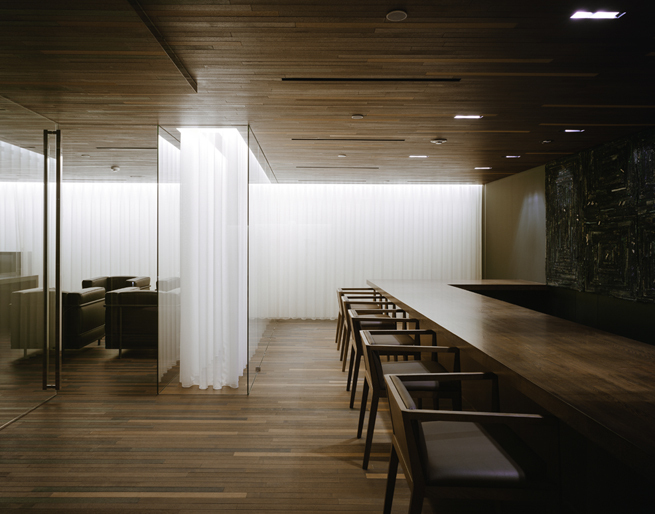 Tokyo’s kisala Restaurant is composed of four areas: one counter each for Japanese food and Western food, a cigar bar, and a private dining room. 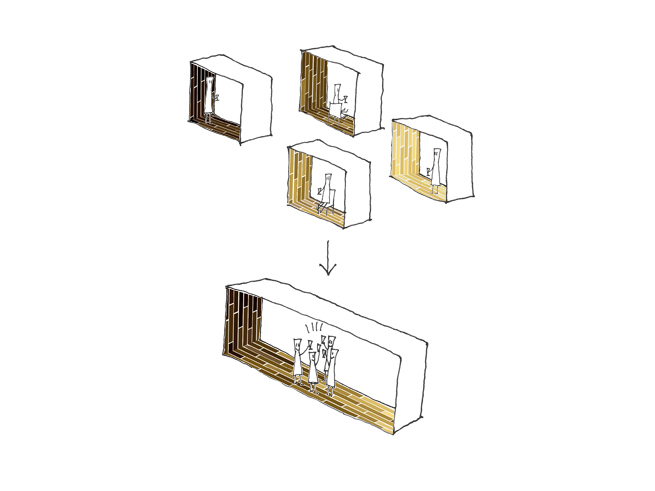 We gave each space a different feel by varying the tone of the floorboards, and gradually increased the brightness of the floorboards to connect the space. 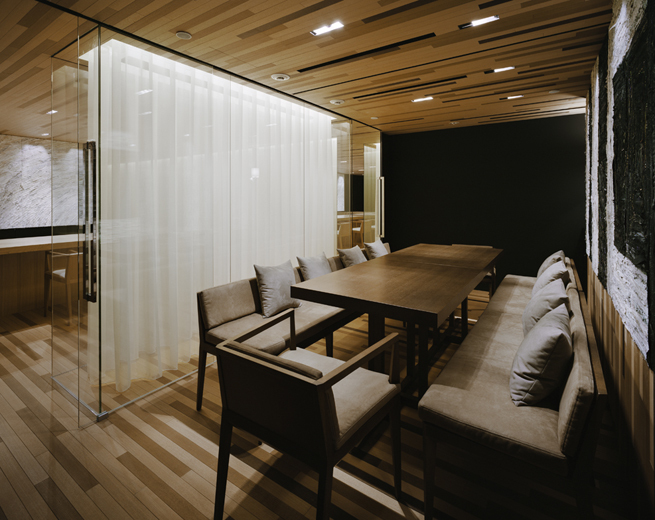 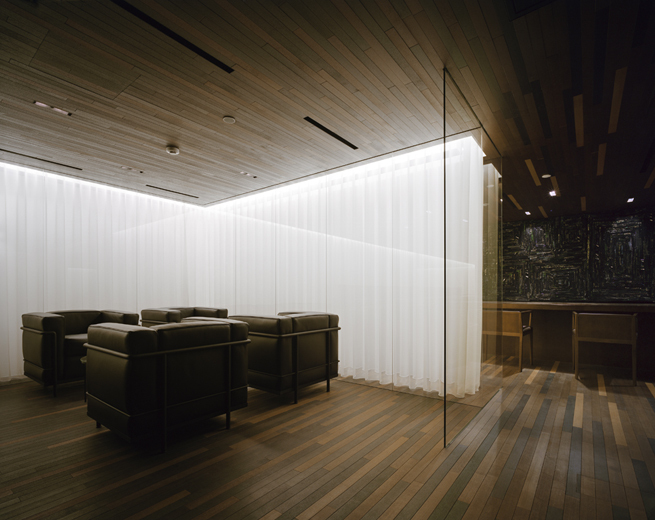 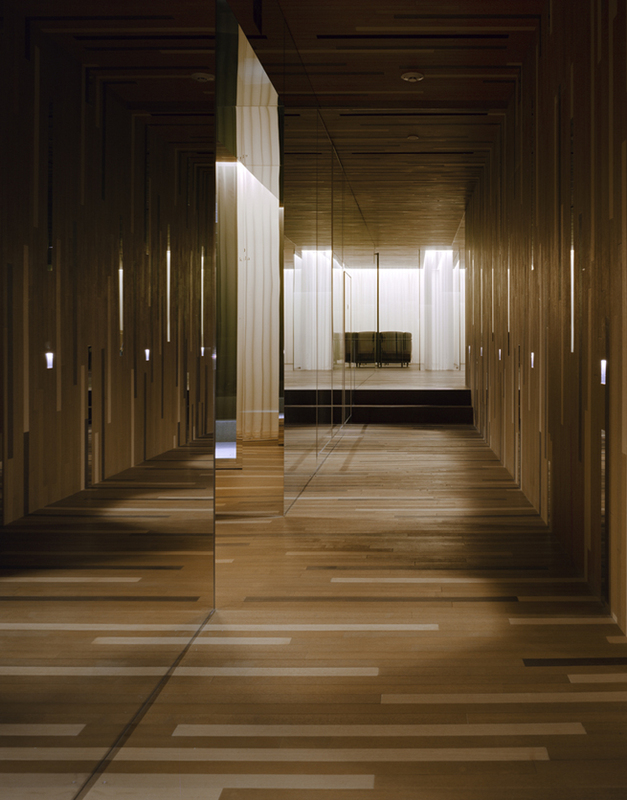 Equally subtly, the spaces for the cigar bar and private dining area are defined by lace curtains, and mirrored panels give discrete spaces the feeling of being connected. 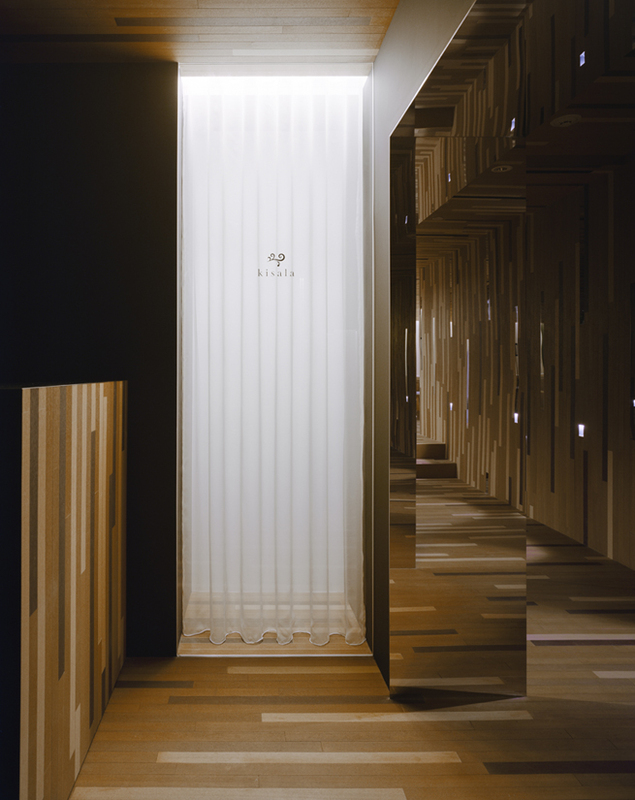 Textiles with colours chosen to match the tones of the floorboards give a sense of texture.